Jared B eck is managing partner of Beck & Lee Trial Lawyers in Miami, Florida. His firm represents both plaintiffs and defendants in litigation across Florida and the United States, including complex commercial, real estate, and consumer class actions and mass actions. He is widely sought by media outlets for his expertise in condo, condo-hotel, and real estate law, including the federal Interstate Land Sales Full Disclosure Act (ILSA), and has been featured on the topics on CBS News and Cox Channel 1 in Las Vegas, and in many publications: The Wall Street Journal, New York Times, Bloomberg, MSN Money, Chicago Tribune, Miami Herald, South Florida Sun-Sentinel, Las Vegas Sun, South Florida Business Journal, Nashville Business Journal, Daily Business Review (Miami and West Palm Beach), Palm Beach Post, Miami Today, Las Vegas Business Press, Nashville Post, Broward-Palm Beach New Times, Bradenton Herald, Housing Predictor, South Florida Lawyers Blog, Soundings (national magazine for boating enthusiasts), Secondary Marketing Executive (trade journal for real estate finance professionals), The Real Deal, and the popular legal news website, law.com. Beck is also one of the experts featured in Steve Bergsman’s acclaimed book on post-crash real estate investing, After The Fall. 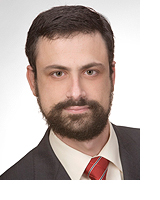 As a law student, he worked summers at Irell & Manella, a premier entertainment law firm in Los Angeles, and at Bonn Schmitt & Steichen, a large European law firm based in Luxembourg. After law school, Beck practiced at Quinn Emanuel Urquhart Oliver & Hedges, LLP — one of the top litigation firms in Los Angeles — where he represented clients including Cadbury Schweppes PLC, General Motors, Snapple Beverage Corp., Waste Management Inc., Blockbuster Inc., and the owner of a Major League Baseball franchise. He was a member of a Quinn Emanuel trial team that won a $128 million federal jury verdict in a patent dispute in the telecommunications industry. Before founding Beck & Lee, he practiced at the Miami office of Morgan Lewis & Bockius, an international law firm, where he litigated on behalf of large corporations and financial institutions in federal and state court.